I’ve once again gotten way ahead on reviews so I’m throwing in an occasional midweek bonus. Earlier this year I reviewed the first book in this series TIME SQUARE- THE SHIFT. It’s the set-up for this second book as four time traveling teens take on their first mission to find a person gone missing after an untimely shift in the master clock. In book one we find out the mess-up with our ticks and tocks came about because the father of two of these kids discovered an obelisk not knowing that inside was the home for how time is kept – a place called Time Square. If you jump right in and have not read the first in the series, don’t worry as author, S.W. Lothian, brings you up to date in the first third of this adventure. The action focuses mostly on 1947 Roswell, New Mexico where the teens are sent to find and bring back a wayward time traveler. That’s the site of a real life event known as the Roswell UFO Incident. There is also another plot thread set in 1930 Washington D.C. where the obelisk has been stolen by rival Sultan Peppercorn causing some very chilly havoc at Time Square. So far bumbling agent James Blonde has come up empty in his attempts to resolve this situation. If you like wildly inventive characters, funny dialog, and time travel with a bit of history thrown in, then look no further than the TIME SQUARE series. FULL PLOT (From Amazon): The effects of the Shift have caused havoc at Time Square. Time itself is in danger of imploding and Operation Slingshot has been activated to save the day. Team ELMR embark on their first mission to locate and rescue the first of the missing travellers. Mission Brief: Readings indicate that the target traveler has possibly been captured by a brilliant, but eccentric, scientist who is investigating reports of extra-terrestrials that have crashed in the Roswell area. Due to this, it is essential that the target is located and rescued before he unwittingly reveals our secret. If the secret of time-travel is revealed to such a random mind, then it could spell disaster and have a huge impact on the world. A unique utility pen is used to get out of many situations for the teens. You’ll wish it were possible to have one yourself after witnessing all that it can do. Such a great gadget. A rhino beetle is a character I would never think to put into a story. Neil is there in all his silent beetle glory and will bring more than few grins to your face. The subtle sense of humor pervasive in every chapter ensures it’s never a scarey ride. From amusing play on words to some funny dialog exchanges, it’s all tongue in cheek. Time travel provides an interesting side effect for one of the teens. This twist adds a fun sidelight. The next mission is already in the works set for the Bermuda Triangle. Looks like a 2016 delivery for this one. FAVORITE LINES: They clumped together like overcooked rice and edged into the eerie grey beyond the reach of the streetlight, towards the voice. 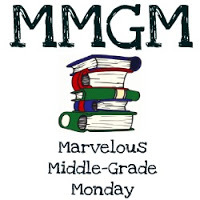 This entry was posted in Reviews and tagged MG book reviews, Middle grade, MMGM, S.W. Lothian, Time Square, Time travel books. Bookmark the permalink. I’ve never been to Roswell, but reading this book encourages me to head south for a look see. Think I’ll go when the conference isn’t being held! Thank you, Greg. I’m so glad that you liked UFO, and I’m glad that you enjoyed (Rhino) Neil the beetle. Did you spot him on the book cover? Yes, I did. He’d be great in a picture book! Good luck with all of your future writing adventures. I’ll be lurking! This sounds like a lot of fun. I will have to check it out. And I love the quote (except for the “towards” instead of “toward.” But that’s just me.) Thanks for the bonus review. Yes, I noticed that too. I’ll recheck to make sure it wasn’t me making a typo.. Fun story, anyway. This sounds like a ton of fun! I’ll have to show it to my MGer. Thanks so much for sharing it, Greg! Clever idea for time travel. 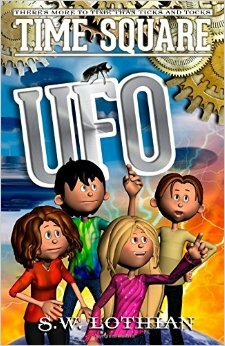 And, I like the twist on the Roswell incident. There was a time I knew a lot about the incident. I’d read this.